Here we go again! 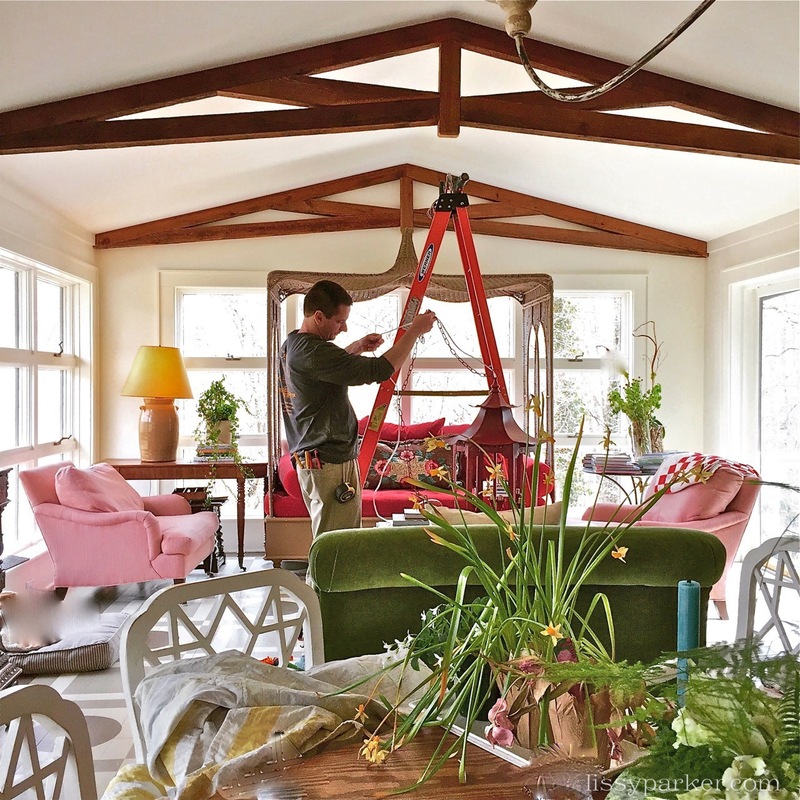 The lantern in the family room area is being changed—yet again. The first carriage lantern was hung temporarily just to have light in the room. Black and just a little large for the space, we changed that lantern about a year ago for the white version that is being relocated now. 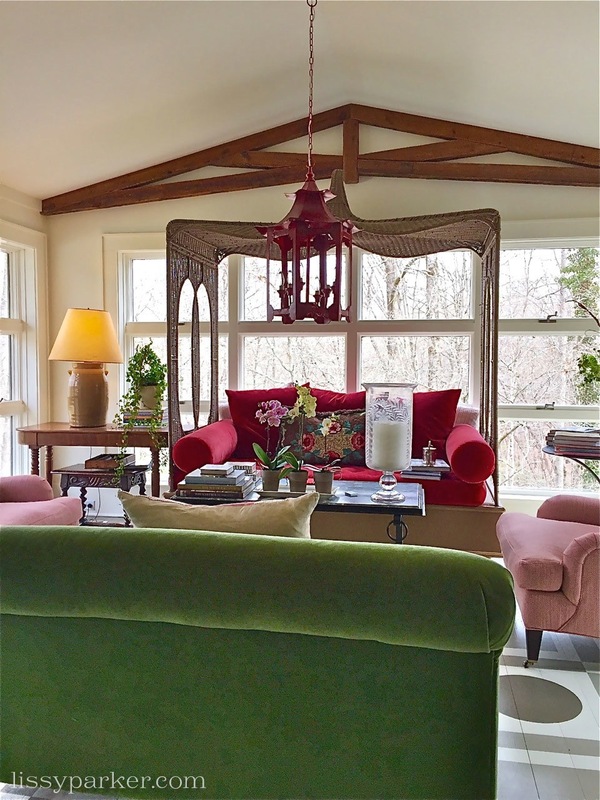 Both of these lanterns have found new homes, the first one is now located in my editor’s mountain home and the second one moved to the master bedroom in Atlanta. 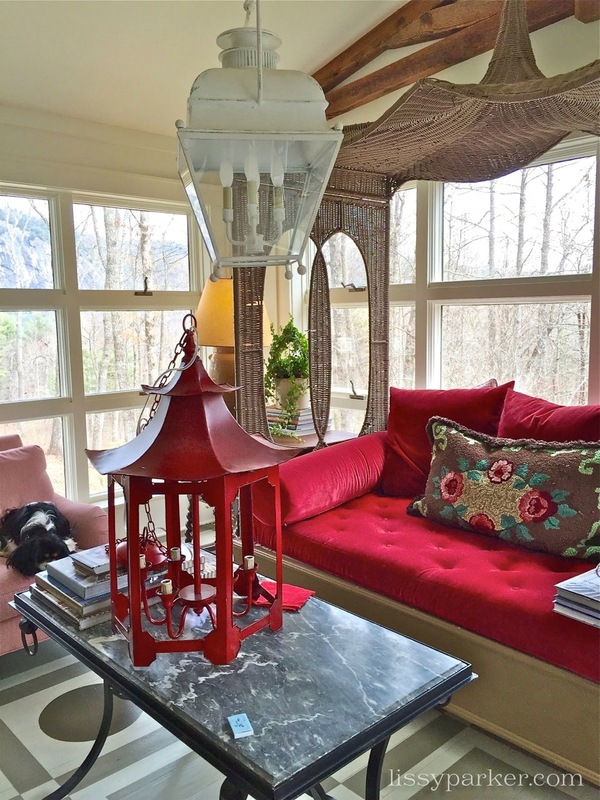 This beautiful Chinese red lantern was spotted by Keven Hawkins at Boxwoods, in Atlanta, and immediately put on hold for me. As soon as the hold tag went on, six women were waiting to purchase it according to Boxwoods. I think this lantern is what we needed all along—third time is the charm! So very snappy…love the red! Lynn, Snappy is the correct word! Love the red. Your home is beautiful. I needed that touch of red—brightens my day! Holly, I think is is perfect—only took three tries. Lissy that lantern has you written all over it!! I just noticed your blog disappeared off my sidebar and I have not been getting your posts! I am so glad you commented so I caught it! Cindy, So glad you found me again. I am crazy for the red lantern! It looks perfect with all of the red velvet in the room. Third time is definitely the charm…perfection! I think so too! Sometimes you just have to try it and see what really works.